With the official start of summer upon us, it's time to break out those favorite summer cocktail recipes. 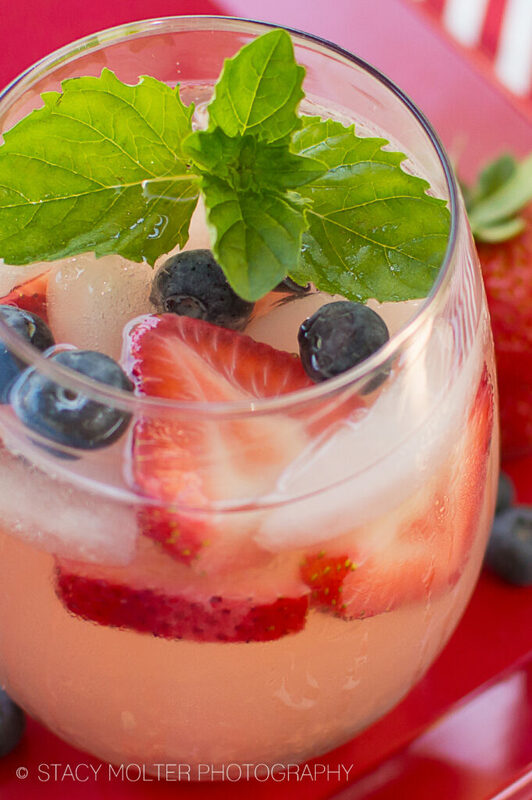 This Berry Moscato Sangria recipe is a family favorite we enjoy with friends and family throughout the hot summer months. Plus the red, white, and blue colors palette of this recipe make it the perfect celebratory drink for Memorial Day and Independence Day. The Gallo Family Vineyards Moscato is refreshing with flavors of peach, honey and ripe citrus to round out the light-bodied style. The sweetness in this Moscato balances the flavors in a wide variety of spicy dishes and the notes are a nice match for many soft and hard cheeses as well as everyday desserts. 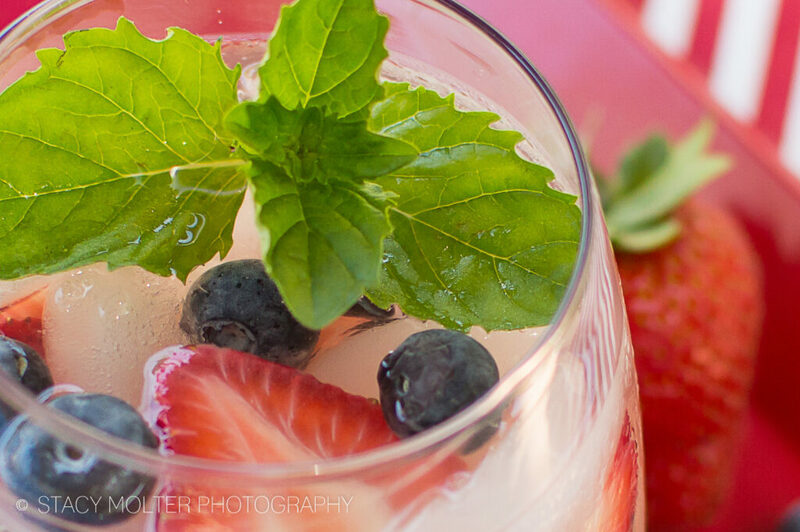 The versatility and delicious sweetness of Moscato make it the perfect base for a cocktail. Gallo Family Vineyards has created a series of delicious wine cocktail recipes, and you can find these recipes and more on the Food & Wine Pairing page of the Gallo Family Vineyards website. The freshly squeezed lemon in this crisp Berry Moscato Sangria recipe adds a bit of pucker and tartness to naturally cut through the sweetness of the fresh berries, creating the perfect refreshing summertime cocktail. Fun party tip: A great tip for decorating your summer party is to cut a slit in the corks pulled from the wine bottles and slide in a card to label the food choices in an easy and elegant way. Once the party is over, be sure to use your Gallo Family Vineyards corks to donate to Meals On Wheels Association of America through the Every Cork Counts program. In a large pitcher combine wine, orange liqueur, lemon juice and sparkling water. Stir to combine. Add berries. Chill for 1 hour to let flavors blend. Serve in ice filled wine glasses with a sprig of mint for garnish. Don't forget to enjoy the drunken fruit after your finish your sangria! 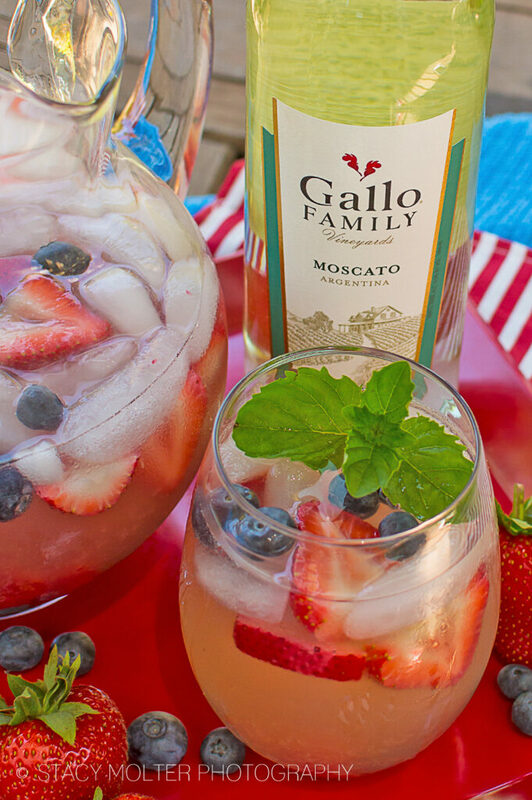 This Berry Moscato Sangria recipe was sponsored by Gallo Family Vineyards.